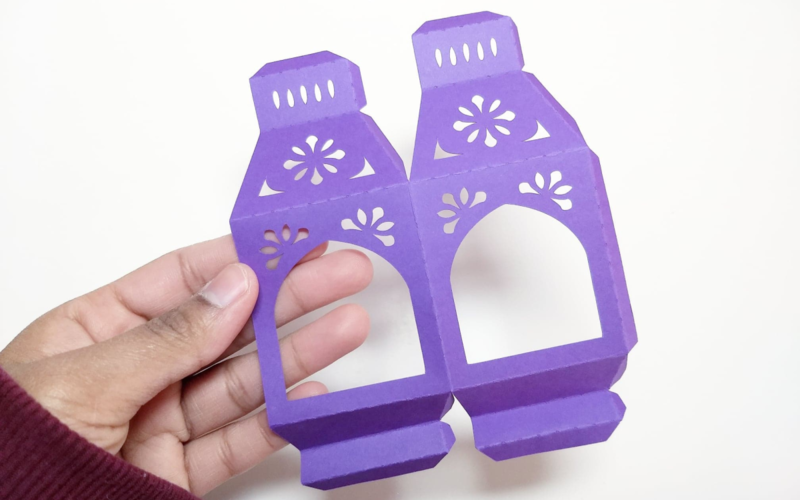 Ever since I found this paper lantern template, I’ve been obsessed with making them in different colors and sizes! 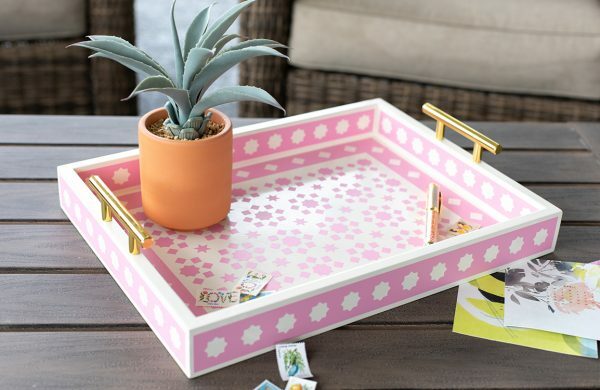 Keep reading to find out how you can make some yourself to add to your home decor! 1. 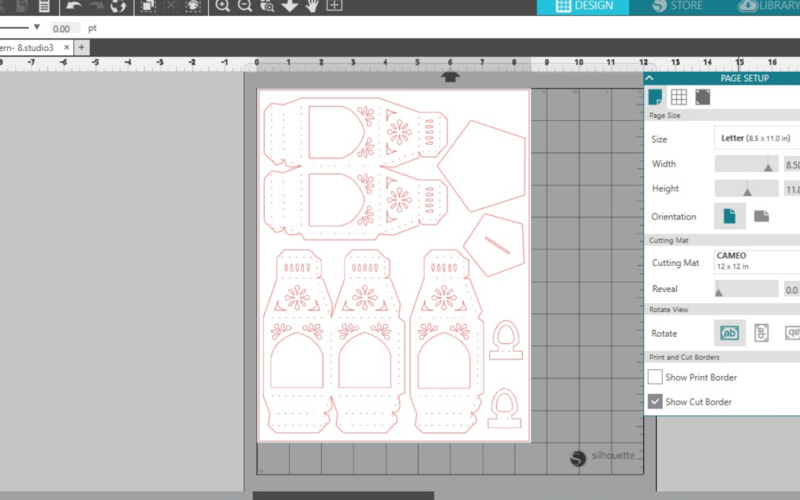 Go to the Silhouette Design Store and purchase Design ID #25711. 4. 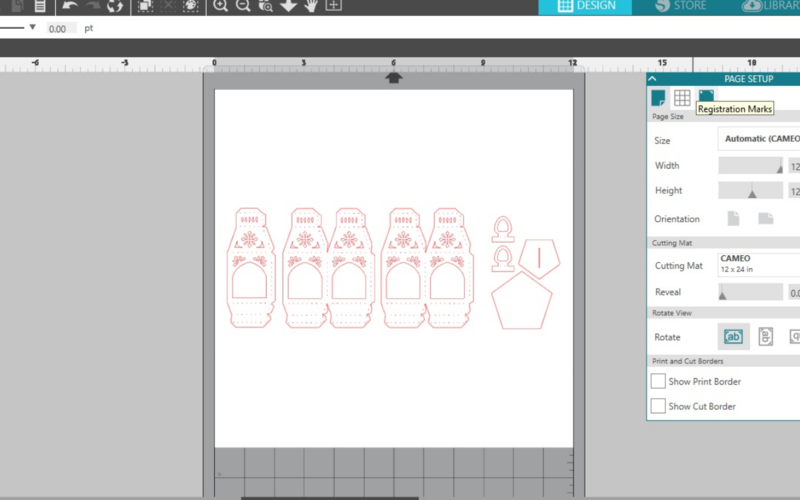 Next, rearrange and resize the design so it fits perfectly on one page. 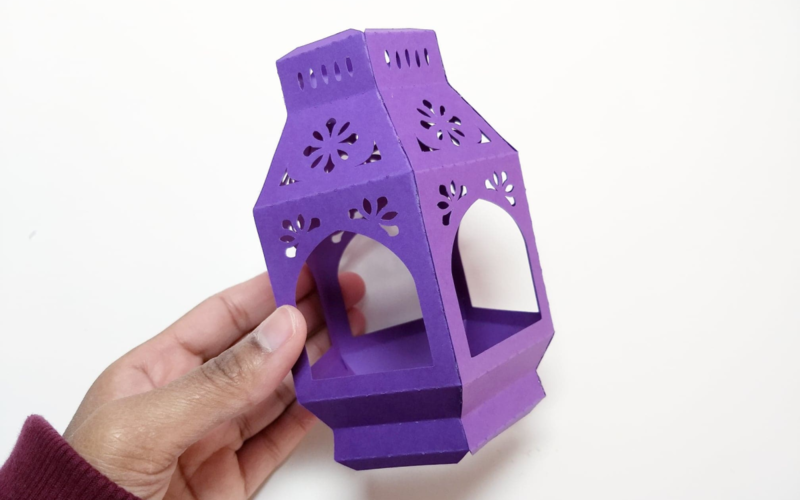 If you’d like to make a bigger lantern using a bigger sheet of paper, resize the design accordingly. 1. It’s now time to cut! 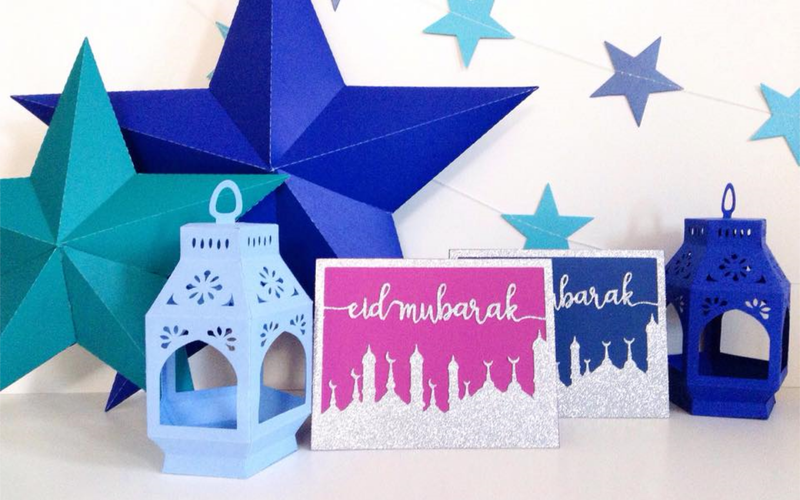 Load your machine with your mat and colored cardstock. 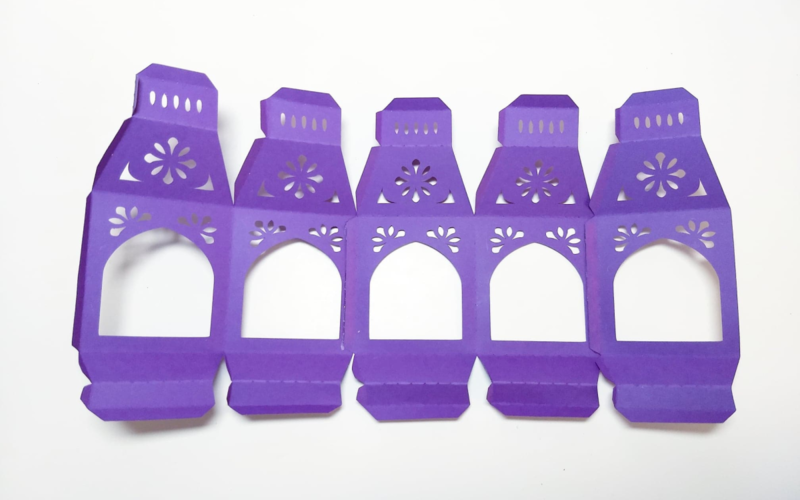 Choose the correct cut settings for your type of paper. You can see here that I’ve used the same preset settings for plain cardstock and only adjusted the speed so that the machine can cut faster. When you’re ready to cut your design, click the Send button. 1. 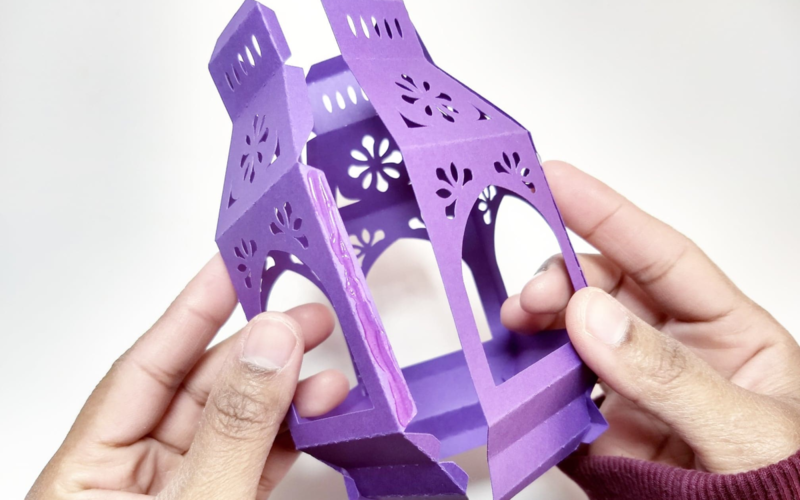 Once your design is cut, it is time to start assembling the lantern. 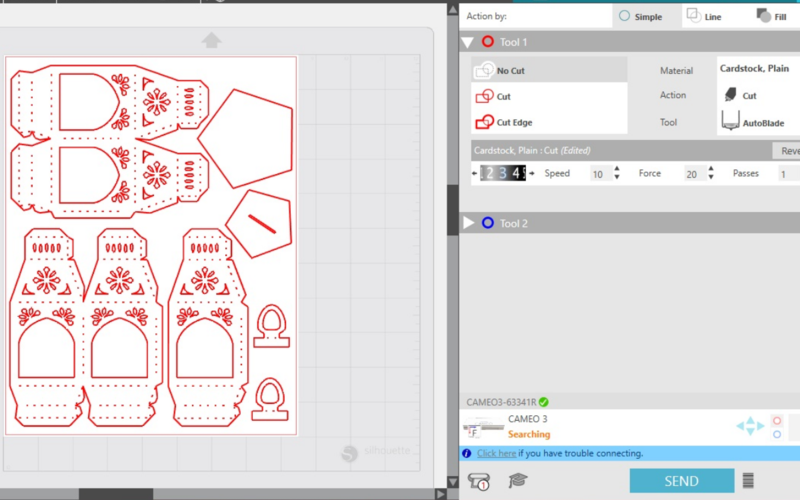 Carefully remove the design from your mat and use the hook tool if needed to remove any tiny pieces of paper from the design. Next, you will need to fold along all of the scored lines. (This might take a while as there are A LOT of scored lines!) Use a bone folder (if you have one) to create crisp edges. 2. After all the scored lines are folded, we can start putting the base together. Glue the three side pieces together using the tabs on each side. I used a hot glue gun to adhere all the sides since the glue dries fast. 3. Next, glue the last remaining side with the last tab together. 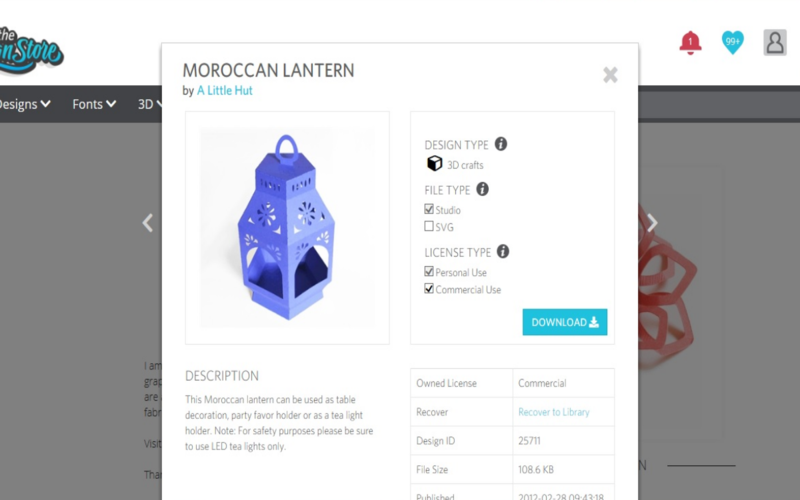 This will make the lantern’s 3D shape come to life! 4. 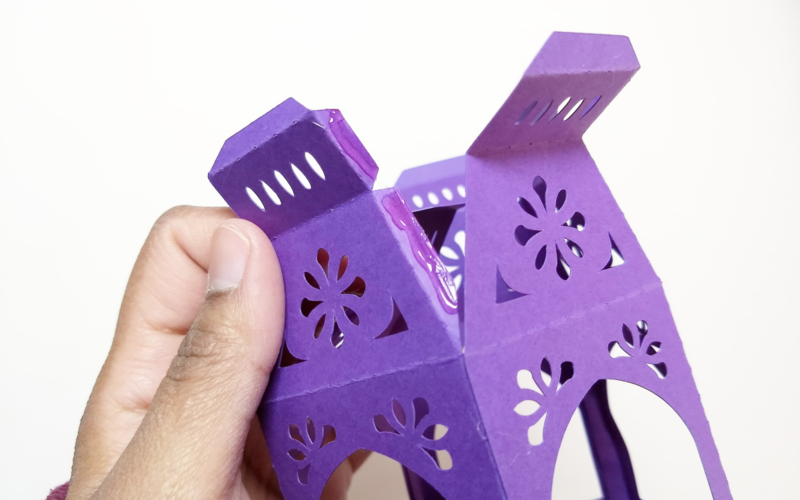 Glue the top two tabs with their coordinating edges and repeat this on all five sides of the lantern. 5. 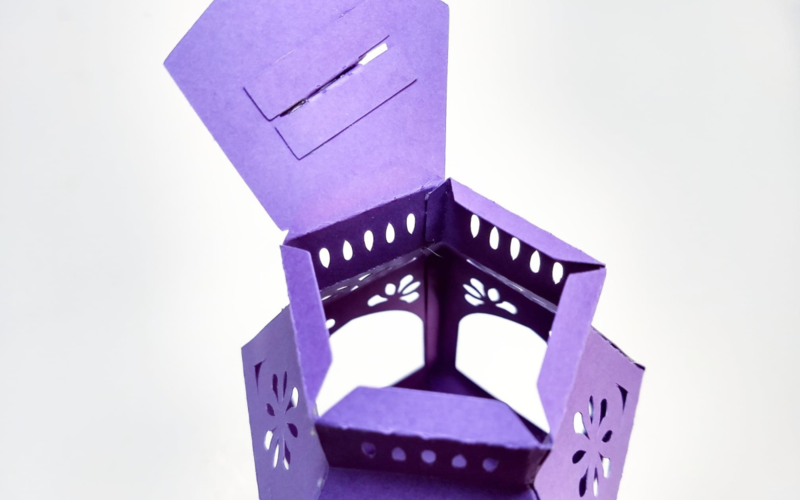 Flip the lantern upside down and glue the two tabs on each side to the edges. Repeat on all five sides. 6. Yay! 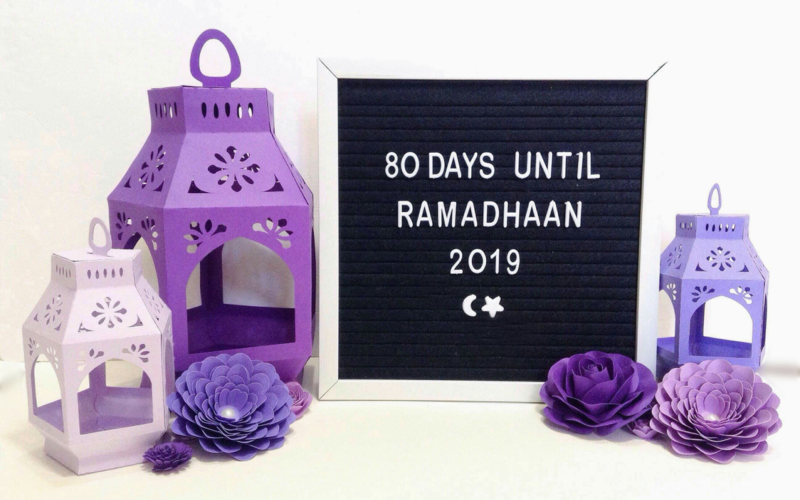 Your lantern is almost done! All we have left is to glue the bottom and top and we’ll be finished! 7. Take the bigger hexagon and start by gluing one side to one of the tabs. Let that dry and then continue gluing the remaining four tabs until the bottom is completely sealed. 8. 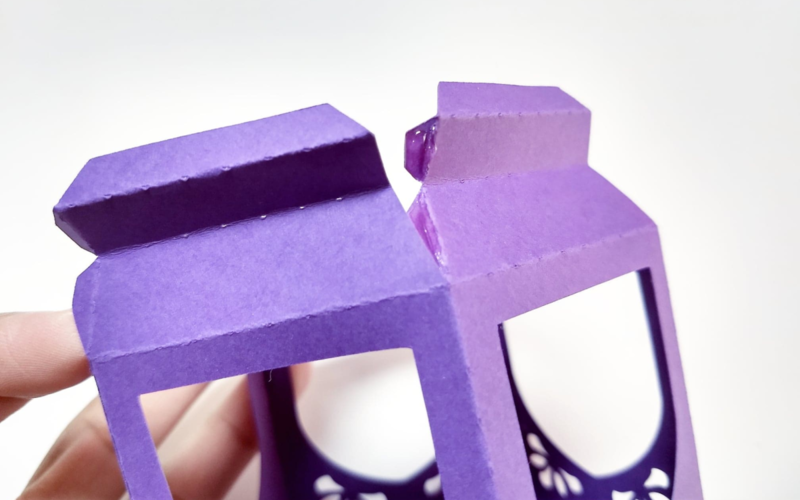 For the top, take the two handle pieces and glue them together, leaving the bottom unglued. 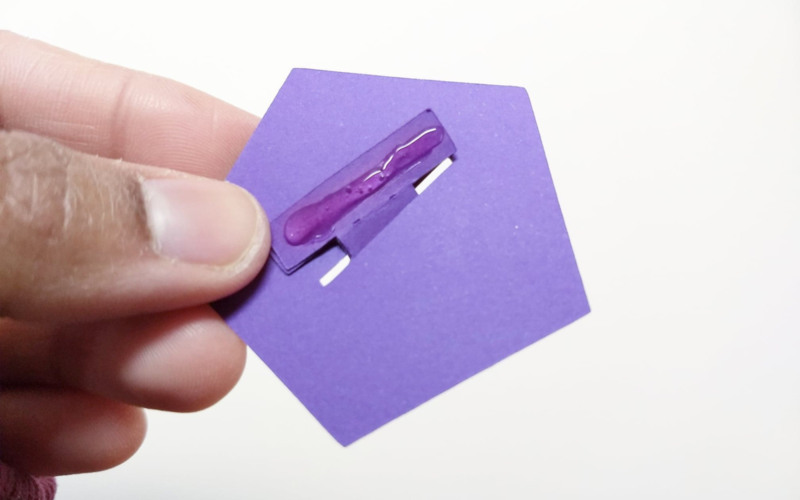 Next, insert it through the slit in the smaller hexagon and glue the two tabs to the bottom. This will be the top as well as the handle of the lantern. 9. 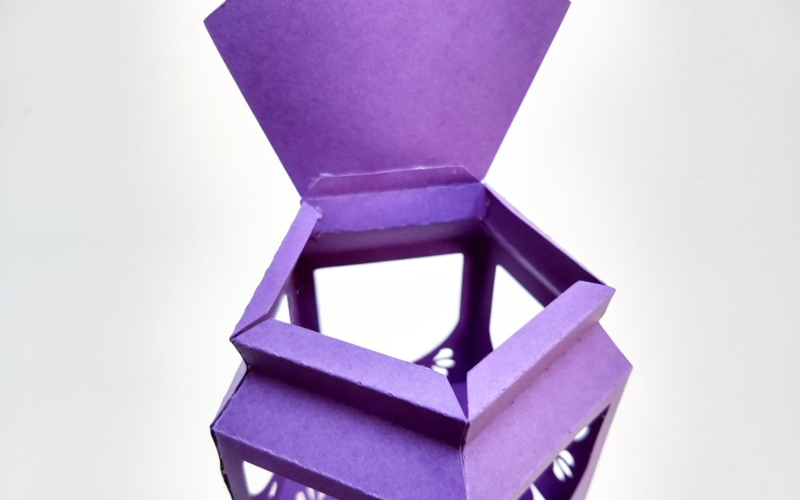 Repeat the same steps you did for the bottom in step seven to finish gluing the top of your lantern. And there you have it! 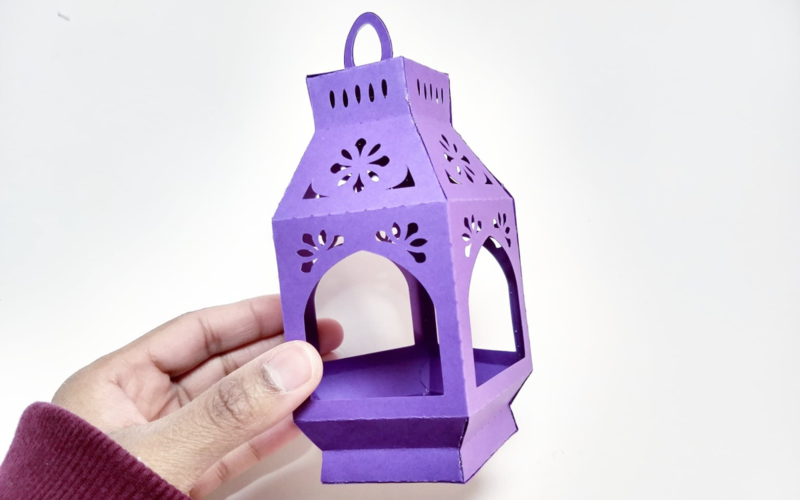 A beautiful paper lantern! 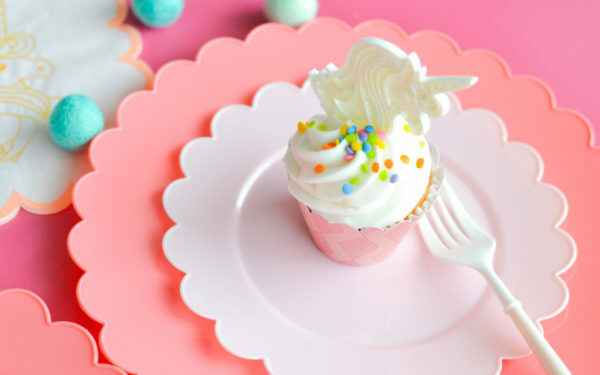 These are so fun to make, especially in different colors and sizes! 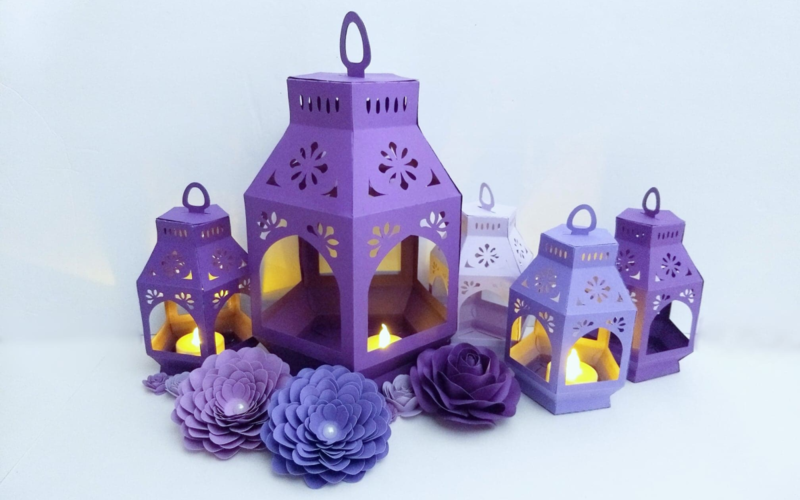 They make great home decor and also look beautiful with an LED tea light candle inside of them! Have fun creating a whole family of these just like I did!